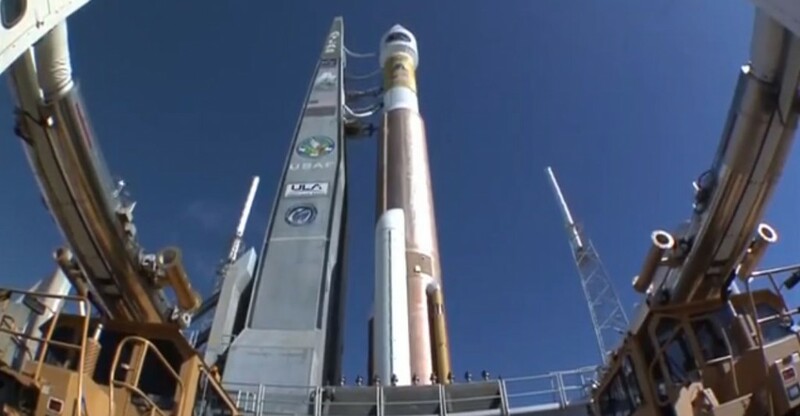 CAPE CANAVERAL — The United Launch Alliance Atlas 5 rocket and NASA’s four MMS satellite probes passed their Flight Readiness Review today that assessed the progress of work and affirmed plans to launch next Thursday night. There are no major constraints from the FRR and the “go” was given to press ahead with launch week. 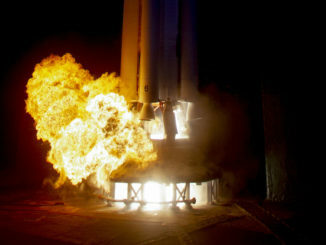 Technicians mated the Magnetospheric Multiscale satellite quartet atop the Atlas-Centaur rocket last Friday morning. 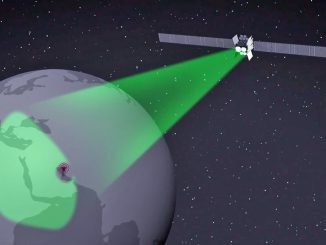 The Integrated Systems Test to verify good compatibility between rocket and payload was performed on Tuesday, followed by standalone testing of MMS on Wednesday. The status of the launch campaign, testing results and work schedules were reviewed today in the FRR. The meeting culminated with approval to continue with pre-flight preparations to next Tuesday’s Launch Readiness Review. 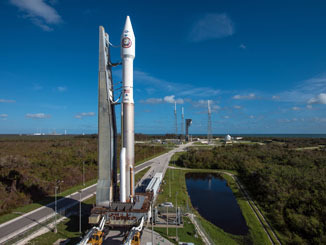 That LRR is designed to wrap up any lingering issues and give the okay to transfer the Atlas 5 to the pad at Complex 41, which is scheduled on Wednesday morning. Liftoff remains targeted for next Thursday at 10:44 p.m. EDT. See our earlier MMS coverage. And see our Atlas archive for further information.